Peter Klarnet, a senior specialist in American Manuscripts at Christie’s, said that one of the great growth areas in book and manuscript collection has been science. 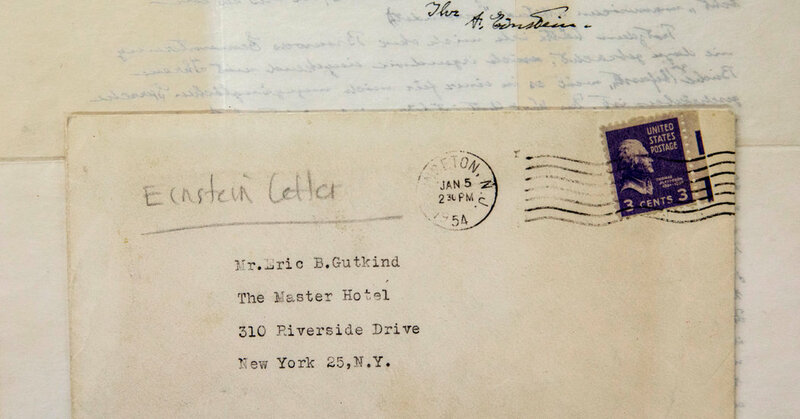 He said the most valuable Einstein letter was a typed copy of his 1939 note to President Franklin D. Roosevelt, sold at Christie’s for $ 2.1 million in 2002, that warned of the possibility of the construction of extremely powerful bombs. That letter served as a catalyst for research that led to the Manhattan Project. The God Letter, written the year before Einstein’s death, seems to outline Einstein’s view of formal religion and the idea of ​​a God who plays an active part in everyday life, answering individual prayers. “He did not believe in a God who went around choosing favorite sports teams or people,” Mr. Isaacson said. But at other times Einstein described himself as “not an atheist,” and the letter does not cancel the seemingly spiritual characteristics of his thinking. ” Every time he was asked if he believes in God, he answered cagily: “I believe in Spinoza’s god,” she said, referring to Baruch Spinoza, a 17th century Dutch thinker who drew from Jewish religion and history. “If you say ‘I believe in Spinoza’s god,’ that’s already saying you do not believe in what most people believe who believe in God believe. Gutkind had made the case in his book that “the Jewish soul is perfect intellectually as well as spiritually,” according to a review in Commentary magazine. “The mathematicized Einsteinian universe is Jewish as well as progressive, because it is anti-mythological.” Commentary also noted Gutkind’s “eagerness to find salvation for modern man in the Jewish spirit” (although the reviewer added that doing so induced Gutkind “to make the most extravagant claims in its behalf “).